Snom DECT Solutions: Which is Best For Your Industry? Implementing Digital Enhanced Cordless Telecommunications (DECT) in any work environment can vastly improve communications. Mobility is the prime benefit of DECT, helping to free employees from being stuck at their workstations. Snom has developed a range of DECT solutions that ensure users experience an increased level of functionality, quality, and mobility. By choosing a Snom DECT solution, businesses will see a reduction in communication-related costs and an improved bottom line. These solutions utilize a dedicated frequency band that is less congested than alternatives, allowing for high-quality audio & secure communication encryption. There are ideal Snom DECT base station & handset options for many different industries. We explore which is best for different industries and office environments. Upon beginning your search for a DECT base station, it is important to assess the features of each option. For smaller office environments, the Snom M300 single-cell DECT base station would be a sufficient choice. As part of the M325 DECT bundle, the M300 forms the base of this powerful telephony solution. Small businesses can run up to 20 handsets on the base station, providing each employee with access to a handset. The M300 will also provide enough coverage for the small office environment, ranging up to 50 meters indoors. Broader coverage is available by adding up to three Snom M5 repeaters. For companies that require larger wireless coverage that expands across several floors or throughout a building, the M700 DECT multicell base station is perfect. This base station is easily scalable, expanding up to 254 m700 base stations and 1000 handsets. Scalability is made easy with over-the-air synchronization, as base stations will install themselves. The M700 and M300 are both based on Snom provisioning and are interoperable with all major VoIP IP PBX systems. 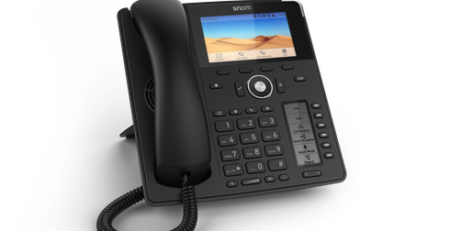 Snom has developed handsets that address the day-to-day requirements for a variety of settings. The M Series offers three different handset solutions: the M25, M65, and M85. The M25 Office Handset is a cost-effective model designed specifically for smaller businesses. It is reliable, compact, and comfortable, providing up to 75 hours of standby and 7 hours of talk-time. The M25 can be easily configured for both the M700 multicell or M300 single-cell base station. For customers requiring mobile coverage across several floors or in large buildings, the M65 Professional Handset would work best. Like the M25, this solution was created for professional telephony and is suited for fast-paced work environments. In addition to its sleek appearance and expansive feature set, the M65 can be used for heavy call loads. The lithium-ion battery can support 250 hours of standby and 17 hours of talk-time between charges. 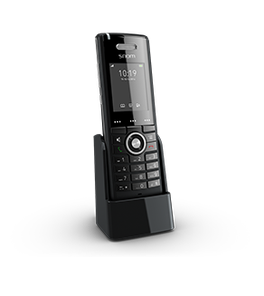 When using the handset with the M700 or M300 base, users will enjoy many of the features that they need, including voicemail, call lists, and caller ID. Some work environments may be a bit more rugged, so Snom developed the M85 Industrial Handset. While it is suited for indoor professional settings, the M85 also performs outdoors or in hard-hat and industrial areas. It is shockproof, waterproof, and dustproof, and features a range of safety-related features. One of the newest features is the “Dead Man’s Feature.” Integrated position sensors detect if the handset is in an unusual position or has been motionless for an extended period of time. An emergency message will then be sent to assist an unconscious employee. The M85 also can be used to send and receive manual or automatic alarms in the event of an emergency. Topping off the M85’s safety features is the optional wrist loop. The pull-cord, attached to the phone, can be ripped from the handset in an emergency. An alarm will then be sent out. Which Snom DECT Should You Choose? Telephony requirements are going to vary between office environments and industries. 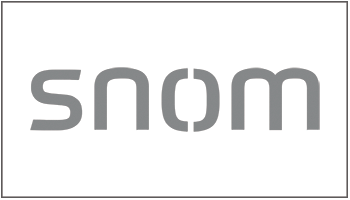 Snom has recognized and addressed the needs of particular users. By choosing the correct Snom DECT solution, you can provide end users with the best equipment. For traditional office environments – from accounting firms to CPG to marketing & design companies – it is best to choose a base station on the number of workers and size of office space. For offices with a small number of employees, the M300 bundle would suffice. If the physical office space were to increase due to a move or expansion, M5 repeaters could be added for additional coverage. For offices with more employees, multiple floors, or a larger footprint, the M800 would do the trick. Traditional offices would benefit from either the M25 or M65 handsets. If work functions gravitate around sales, claims, or customers service, the M65 with its longer talk time would be the best option. Retail businesses can reduce costs by moving to a single, virtualized UC network that incorporates mobility. These cost-effective solutions will help offset any decreases in sales & help boost profitability. Almost all retail environments should select the M700 base station with its widespread wireless coverage and scalability. For handsets, the M65 and M85 are perfect selections. Handset choice will be dependent on the level of dust, dirt, and water in the environment, as well as the need for safety features. Food-focused retailers would generally opt for the M85, while a clothing retailer would gravitate to the M65. Upgrading and modernizing to VoIP will help those in the education industry save money and reduce maintenance costs. Simple and effective solutions are the best choice to handle busy times of the school year. The implementation of a Snom DECT solution will make sure that communication between students, educators, administration & parents is solid and consistent. When choosing a Snom wireless solution, those in education should select the M700 base station and M65 handsets. Lastly, manufacturing can reduce costs with IP telephony mobile solutions, while ensuring that every floor of a factory has a phone. The mobile solution will also eliminate any issues that would arise from pocket & overhead pagers, as well as two-way radios. The M700 base station would be best for every factory setting. If employees are working indoors, outdoors, or both, they should definitely be using the M85 handset for its durability & safety features. 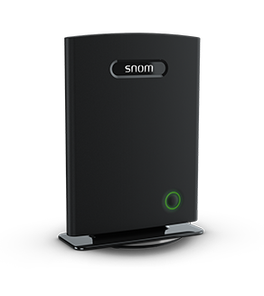 Snom DECT solutions boast many features and benefits, including ease of setup & ease of use. Since Snom manufactures its own endpoint solutions, these high-end phones are competitively priced. Before adding these solutions to your product portfolio, contact 888VoIP about their Snom Sample Purchase Program. There will be little to no risk in testing out the solutions, making you aware of all the products’ features before they’re offered. 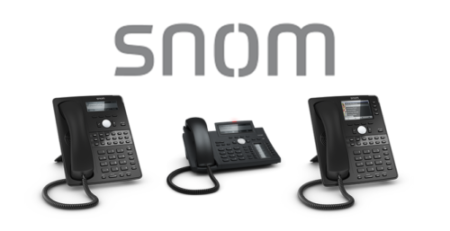 The team at 888VoIP can also help provide you with more insight on other Snom products. It’s time to contact the 888VoIP team at 888-864-7786 or [email protected] for more information on these Snom DECT solutions.